When US-based chefs and cannabis enthusiasts Clay Inscoe and John Harry realised that both of their fathers were living with Parkinson’s, they decided to combine their passions and do something about it. Clay Inscoe recounts his motivation for co-hosting ‘A Highbrow Dinner’, the eight-course cannabis dinner he held with his wife Lucy and friend John Harry. 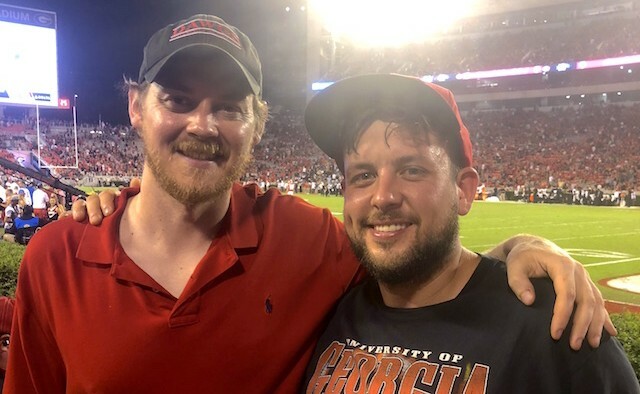 Clay and John met in 2011 working at a restaurant called Five & Ten in Georgia, US, and soon found they had more in common than just work. “We would get together, and smoke weed after our shifts – that was how we became friends” says John. After realising that their respective fathers had both been diagnosed with Parkinson’s, Clay and John – who have over 20 years of experience in the food and beverage industry between them – decided to host a pop-up dinner in aid of the condition. 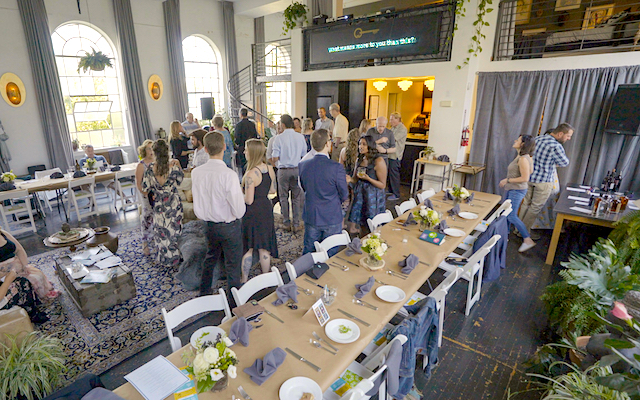 The dinner – which took place on 26 August at event space Invisible City, Denver, US – raised over $3,000 for the Parkinson’s Association of the Rockies. The evening’s menu incorporated terpenes – the aroma compounds found in cannabis and other plants – which Clay believes are able to slow down the degradation of Parkinson’s neurons. The dinner began with a citrusy first course, before turning to earthy and piney flavours and finishing off fruity and floral. The courses included a kombu-citrus cured scallop sashimi, pine ice cream and chocolate honeycomb with lavender and blueberry terpene pâte de fruit. Guests were also treated to a variety of talks on the benefits of cannabis for people living with Parkinson’s. For more information on cannabis and Parkinson’s please visit the EPDA website.